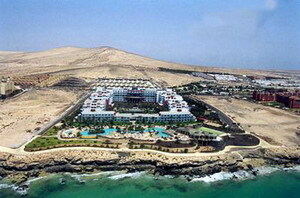 The R2 Pájara Beach is located in Costa Calma, on the south coast of Fuerteventura, Spain, 20 metres from Jandia Beach. Morro Jable Lighthouse, on the southernmost point of the island, is 20 kilometres from the hotel. 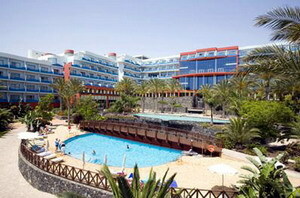 Built around palm-fringed freeform open-air pools for adults and children, the six-storey R2 Pájara Beach is a modern resort hotel. 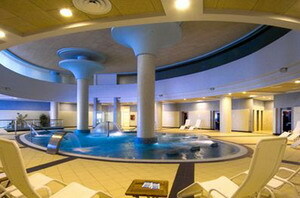 Leisure facilities include a spa with fitness suite, sauna, and steam room. Massage, mud, and cosmetic treatments can be arranged on request. 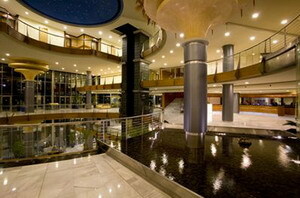 The hotel also has its own shopping mall, hair salon, and Internet café. 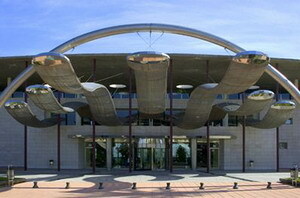 Multilingual staff at the 24-hour front desk can assist with tourist arrangements. Motorists will find complimentary parking on site. The Sotavento a la carte restaurant features contemporary decor and serves a selection of international dishes against a backdrop of sea views. 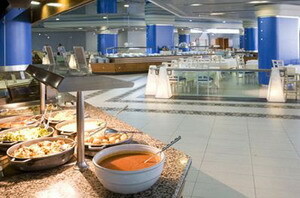 Snacks, light meals, and afternoon tea are served at Barlovento, by the pool. 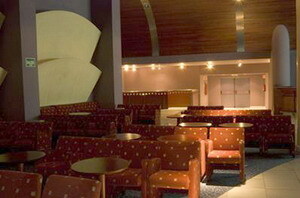 La Zarza offers coffee and cocktails, big-screen televisions, and live entertainment. 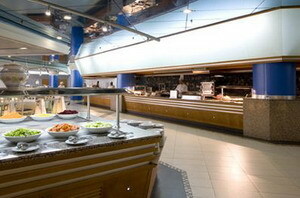 The all-inclusive rate includes all meals and drinks. 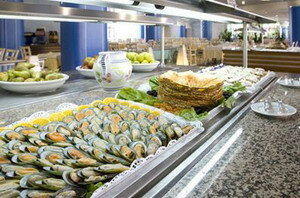 Room service is also available (limited hours). 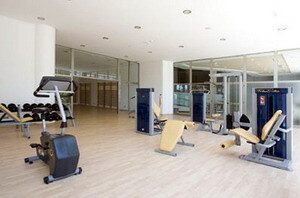 Onsite recreation options include tennis, archery and volleyball. A playground is provided for children. 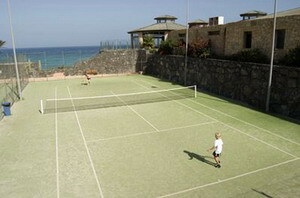 The resort provides a programme of activities for the whole family. 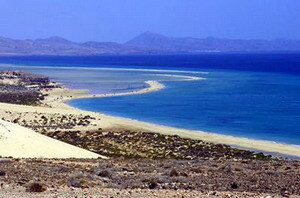 Windsurfing, snorkelling, and fishing excursions are available at the beach. 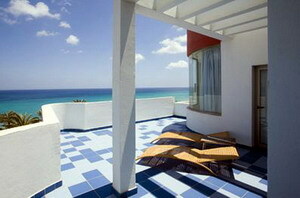 The 355 air-conditioned guestrooms at R2 Pajara Beach open onto balconies with sea views. All are decorated in a modern style. 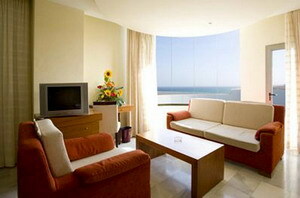 Amenities include satellite television, direct-dial phones, Internet access (surcharge), safes, and minibars. 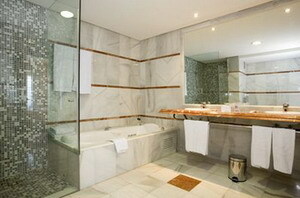 Bathrooms offer showers and complimentary designer toiletries. 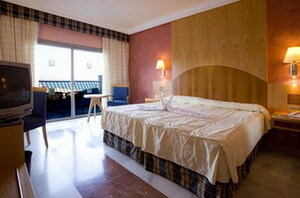 The hotel offers an all-inclusive rate.